The Crichton badge dates from the medieval period. Tartan in Scotland traditionally had less connection to individual families, and was worn more as we choose individual material today. However it was outlawed following the Jacobite rebellion, and slowly became associated with individual clans in the 19th Century. 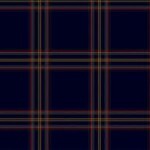 The Crichton clan did not take part in this 19th Century romantic ideal and was slow to design its own tartan. David Crichton of that Ilk is the current clan chief. 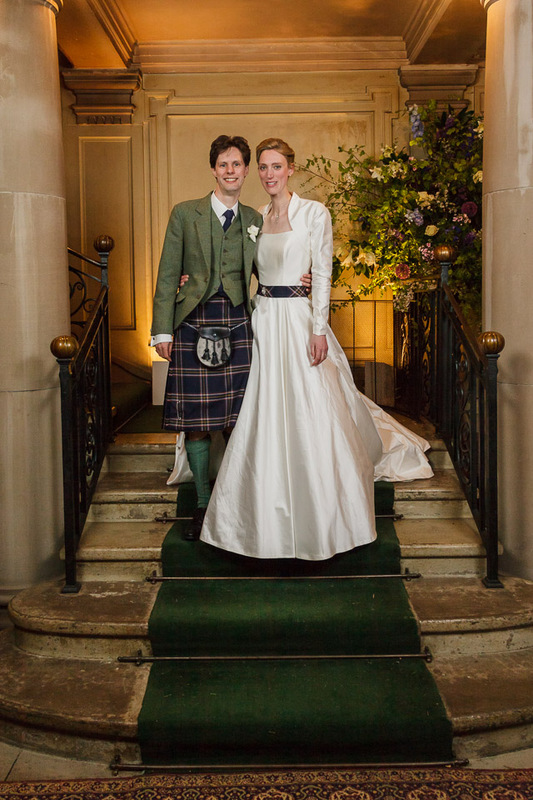 He and his wife Alexandra divide their time between London and Scotland, the latter to enjoy the rich built and natural environment of the land of our forefathers and clan. David can be reached via the contact tab. We would strongly recommend any clan members to visit the two clan Crichton strongholds near Edinburgh, as they are wonderfully evocative and resonant buildings in themselves. Crichton Castle was the original clan stronghold, and is perched on a bluff overlooking a small valley, about 10 miles south of Edinburgh. You can clearly see how the clan and William Crichton’s fortunes in particular grew from a local squire to national importance. There were other inhabitants after the Crichton clan, but it is essentially unchanged since the 16th Century. Blackness Castle is on the shores of the Forth, and was built by George Crichton, a contemporary of William’s, actually in the shape of a ship! It was eventually seized by the King after a siege, and became a royal castle. However the bleakness of its position meant it was better suited as a prison than a residence. The prison cell which is washed out by the tidal waters of the Forth every day is not a pleasant proposition! It eventually became an ammunition store for the Rosyth naval base which is on the shore opposite, and was restored in a rustic manner in the 1920s. Monzie Castle is the present seat of the Clan Chief and his family, and is near Perth. It comprises a 17th Century L shaped house, and an 18th Century mansion with turrets. The structure suffered a serious fire in 1911, and the interiors were rebuilt by the architect Sir Robert Lorimer. It is open to the public in May/June each year, so please get in touch for details. The Crichton clan were most definitely on the side of the Stuarts during the upheavals of the 17th Century. The ancestors of the chief’s family were based in Aberdeenshire at this point, and James Crichton was created 1st Viscount Frendraught by Charles I in Nottingham on 29th August 1642, for showing his support for the royalist cause. Lewis the 4th Viscount Frendraught fought for the Jacobites in 1688, and by taking and holding the castle of Federate in Buchan, was the last stronghold to be held for King James in Scotland. Inevitably he was shown little mercy, stripped of land and titles, and exiled to France. Another Crichton, James was a colonel in Bonny Prince Charlie’s army, and was ordered to garrison Carlisle castle on the retreat north. At the end of the rebellion, he too was forced into exile in France. James Crichton was a spectacular prodigy, whose epithet ‘Admirable’, hard won in his own lifetime, has been unfortunately appropriated by a butler in JM Barrie’s play, and by a modern day London catering company! James Crichton was born in 1560 in Dumfriesshire, and his father Robert was Lord Advocate of Scotland from 1562 to 1582. Schooled in Perth, he entered St Andrews university at 9, became a Bachelor of Arts at 12, and a Master at 14. He was then chosen to be a youthful companion of King James VI, then aged 9, but shortly after left Scotland for France, where it is believed he spent some time in the French army. By 1580 and based in Venice, he had built himself a spectacular reputation in Italy, for his ability to discourse and dispute with the leading professors of the day, in a multitude of languages, and in a charming manner. To be an intellectual adventurer was not uncommon in those days, but surviving three days of disputation, as he did in Padua in March 1581, remains an astounding achievement. In 1582 he entered the service of the Duke of Mantua, but on a hot night in July 1582 was murdered in a street brawl by the Duke’s thuggish son, Prince Vincenzo.